Our sink gas a right rear drain so I can wash all those cookie sheets inside the sink without covering the drain. That is a first! Here is the best part. My husband and my kids actually enjoy doing the dishes. 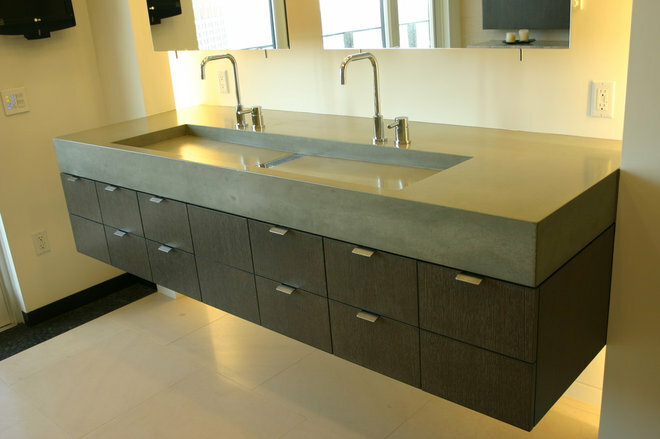 Hard to believe a sink could change the dynamics of our kitchen so much. Also, I live on the East coast and called one evening around 9pm to leave a message. He called back in 5 minutes... Under the current double sink, the setup is two large cabinets with a 9 inch bank of drawers between totaling about 60 inches wide. Each sink has its own water supply and drainage. 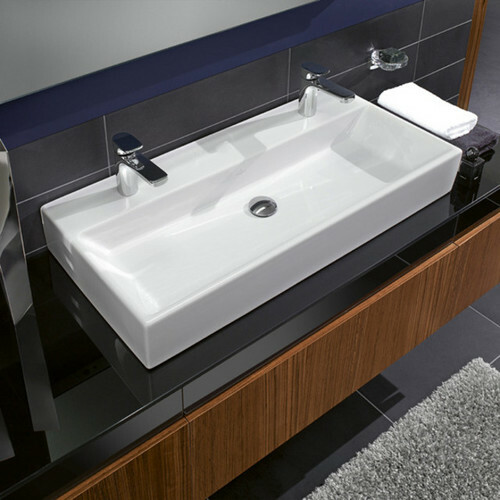 Each sink has its own water supply and drainage. Next, tie the double bathroom sink to a single main drain. You only need one trap. Check that the water-supply lines are attached with dual You only need one trap. Check that the water-supply lines are attached with dual shut-off valves to prevent flooding and accidents.... Measure from the side of the sink to the center of the sink. Measure that distance under the sink on the bottom of the cabinet or vanity and mark two spots separated by two inches. We decided to make one change to the vanity, because I didn’t want to have to tile under the old vanity’s foot print #iamlazy! We cut a kick plate and attached it under the vanity. I know that it is not the cool table style vanity with pretty feet now, but I am happy not to have to clean under the vanity and that I didn’t have to tile!!... 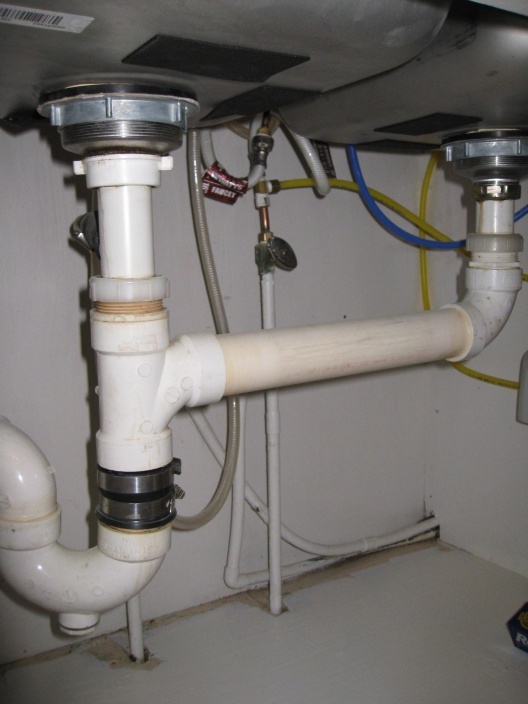 Connect the sink tailpieces or extension tubes into the outlet drain tee (this lets both drains drain into one pipe), threading the slip nut down onto the outlet tee's threads. You will want to set the center of the tee directly between the two bowls. Converting a single bathroom sink into a double Drain? We decided to make one change to the vanity, because I didn’t want to have to tile under the old vanity’s foot print #iamlazy! We cut a kick plate and attached it under the vanity. I know that it is not the cool table style vanity with pretty feet now, but I am happy not to have to clean under the vanity and that I didn’t have to tile! !